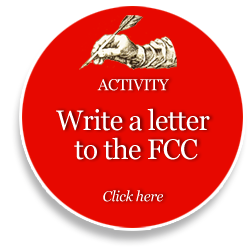 This letter was submitted to the Federal Communications Commission after it hired Steven Waldman, founder of Beliefnet.com, to produce a comprehensive study of America’s news systems. Waldman’s 2011 report was named “Information Needs of Communities” after the Knight Commission report that preceded and inspired it. As my update at the end of the letter shows, private foundations continue to pursue these projects, though the federal government has been slow to change. Thank you again for the invitation to speak at the Federal Communication Commission’s recent Future of Media Workshop. You’ve asked how a content-neutral Public Media Technology Transformation Fund might accelerate media innovation in America. Below are some ideas I hope you will find helpful. I should note this is not an official paper from Knight Foundation. These are my own personal views, after three careers, as a journalist, news historian and media philanthropist. At the same time, my views obviously are informed by work our president, Alberto Ibargüen, and our team at Knight have done since 2007 to try to advance media innovation. Why a public media technology transformation fund? The Federal Communication Commission has embarked on what may well be the most significant reexamination of public media policy since the Carnegie report recommended the creation of public broadcasting. The issue: How are we going to deal with the digital age? How can we help existing public broadcasters transform, to recapture significant past public investment in public media and secure its future? At the same time, how do we broaden the definition of public media to help the new startups, which are accomplishing amazing things with lesser resources? At the heart of this is technology. Digital technology is causing the “creative disruption” that is remaking media ecosystems. The government has helped public broadcasters turn their external television and radio signals into digital signals. Now it needs to help them turn their internal news and information collection systems into modern digital systems. 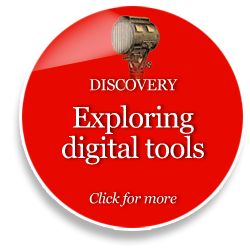 Digital tools provide new ways to do journalism. Technological breakthroughs allow one well-trained journalist to do things that used to require dozens if not hundreds of old-school reporters. A major fund would maximize the adoption of these changes in public broadcasting. For the first time, having only two reporters at a public radio station need not be an impossible editorial challenge. With breakthroughs in crowd-sourcing (Public Insight Journalism), data-mining (TracFed, Sunlight Foundation) and automated applications (OpenBlock), two reporters can do the work of many more. Yet despite comments to the contrary, public broadcasting is not adopting those tools rapidly enough and is thus missing an opportunity to rapidly gain in popularity. Projects such as PBS Engage, NPR Argo, the joint public media platform and Web work by Frontline and NewsHour are notable. But the money involved is a fraction of the operating costs of the organizations involved. Even the most innovative among them might devote no more than 10 percent of their budgets to technology transformation. The Knight Commission for the Information Needs of Communities in a Democracy recommends that we increase support for public media aimed at meeting community information needs. Why? Because the creative destruction of new information technology is causing the heart of America’s news system — the daily newspaper — to cut back dramatically on local coverage. If public broadcasting could turn its “most trusted” brand toward local news and greater interactivity, that would help communities across the nation. Philanthropy has started new, nimble, Web-based public media organizations that are rapidly gaining audience. We also are funding new open source technology that helps nonprofits and businesses automate and improve journalistic functions. In a contest like the Knight News Challenge, however, thousands enter but only dozens win. We are leaving a lot on the table. We have proven the concept that a content-neutral technology fund can accelerate media innovation. But we seem to be working with the early adopters, not the middle of the bell curve, and certainly not public broadcasting. And most foundations are not doing what we are doing. A report from the (then-named) Grantmakers in Film and Electronic Media, called “Funding Media, Strengthening Democracy,” notes once again that grant makers must move faster and more seriously into technology in their media funding. Washington can approach this problem in myriad ways. One that resonates with the challenges of the age and with the experiments we have funded is a content-neutral technological fund that would help the existing public broadcasters and the new startups, which — who knows? 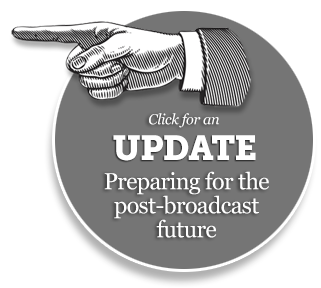 — may either replace, become partners with or even eventually be absorbed by traditional public broadcasters. A fund could help make technological innovations universally usable in the public media system. It could help public broadcasters use digital technology to become more local and more interactive. And it will help during a time when money is scarce and public broadcasters are hard pressed to keep the lights on and innovate at the same time. Government should create a Public Media Technology Transformation Fund for all the same reasons it promotes universal broadband. Without it, the nation will simply not be competitive in this century. People must have access to broadband but also have reasons to use it. Today, the multiplier effect of these investments is hard to ignore. If we unleashed open source software applications and the technology needed to operate them and gave away money for code and machines to news organizations across the country, we would be building a new field of public media innovation — by repurposing existing content and creating new content. Everyone can win. A local newspaper, a commercial or public broadcaster, ethnic and alternative media, citizen media, new Web-based startups, all of them can use open source news technology. The technology does not care whether they are liberal or conservative, old or young, city dwellers or rural Americans, black or white or any color of the rainbow. People will still be free to choose what news they would like to consume; they will, in fact, have greater choice in a media ecosystem richer in local media. To illustrate, I’ve set the fund at $300 million a year, not because any particular number needs to be set in stone but to make the point that a major fund can accomplish major things. This would be one dollar per American per year, to preserve previous investment of billions and to try to help public media’s new leaders create a new future. A general grant fund might give out half the total amount set aside each year, say $150 million a year. That money could be flexible, given out across silos. Any kind of organization could apply. It could be one-time money for new machines, software and technology staff. I would give traditional public broadcasters infrastructure grants when 1.) Their project (even an existing one) makes use of digital technology to create news and information that is more local, personal, portable and participatory. 2.) They are willing to co-support their futures by finding matching money within their own organization. In Philadelphia, I like WHYY’s idea to start a Web-based local project called News Works using significant amounts of its own money. But I worry that WHYY’s entire Web operation is simply not nimble enough. Can it use all the open source software being invented nationally as well as doing its own project? In Miami, we helped public broadcasters develop a community video platform, uVu. But they need more than an experiment. They need more money to scale the platform, to provide cameras and training to all the community groups that will feed the video into uVu and to set aside an increased Web staff for a few years to make sure it takes root. Existing public media organizations also could use this one-time money to cover broadband streaming costs while they make the business model changes needed to cover those costs long term. We should expand the definition of an existing public media organization to include the nonprofit news organizations now thriving on the web, so long as they can demonstrate a commitment to news in the public interest. I define news in the public interest as the news people need to run their communities and their lives. Established web-based public media outlets, such as the Center for Public Integrity, could reach far larger audiences with a steady stream of new technology. The same is true for the new investigative reporting centers. If a center proves itself editorially, if it is raising significant funds for content from its local supporters, it could qualify for a technology grant that expands its capacity during the next five years. These “new traditionals” are offering high quality news for the news stream, which is a goal of public broadcasting. Many newspapers now have no journalists in Washington and no one covering the statehouse. At relatively low cost, this sort of news can be provided by the new traditionals, provided they have the technological capacity to keep up with changing software. Many of the most iterative web-based public media organizations now change their websites fundamentally every few weeks. That sort of culture of constant innovation needs to be built into existing and new public media. This can be an open-ended annual fund or a time-limited initiative along the lines of the Public Television Digital Conversion project. Based on the reaction to our Knight News Challenge, I would suggest at least a five-year effort. It took many years to establish the status quo in public broadcasting. It will take years to transform it. Simply scaling up the projects that already are good — the common public media platform and Public Insight Journalism, for example — could take most of what this fund has to offer in the short term. A substantial amount of money, perhaps $55 million a year, could be set aside to help existing public media improve through partnerships and mergers. If a public radio station and a public television station want to create a joint website (such as Ideastream in Cleveland), they can grow their memberships and keep their technology costs under control at the same time,. This would free up more money for local journalism. Some forward-thinking public broadcasters (Denver, Austin) are partnering with new web-based investigative projects. There are only a few, though. A partnership and merger fund could change that. America’s media policy has never been a single policy, but rather, as fits our power-sharing philosophy, a mishmash of diverse things done by different agencies. We see that in communities as well. In some communities, you might have strong public broadcasters (the less than 20 percent with good newsrooms). In most, you might not. You might be lucky enough to have one of the good 211 systems. Or one of the few good community access cable channels. Or one of the new web-based public media outlets. Or strong libraries that can teach digital literacy. But if your community is normal, you’d be lucky to have even one of these in a significant form. Compare that to what is being lost through the 13,000-plus newsroom jobs cut in the past few years at daily newspapers. Again, I would define public media partnerships quite generously. Local governments interested in 2.0 sorts of community engagement applications might also qualify, so long as they are open source and sharable and subject to community input. 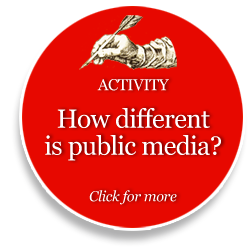 Partnerships between universities and public and private media are obvious choices as well. 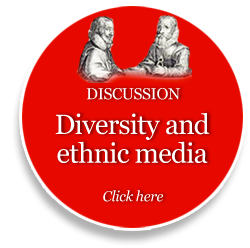 Ethnic media should be included. Something like 25 percent of America consumes ethnic media, and technology needs there are huge. A whole suite of basic templates, content management systems and applications could be developed in partnership with such groups. Ethnic media are forming hubs to translate their work into English and share it more broadly (New American Media), partnering with local foundations (San Diego) or collaborating with traditional media (New York, San Francisco). A partnership fund could spread those best practices more broadly. Even if all a merger fund did was help public radio and public television create dozens of Ideastreams, the nation would be better off. But a larger goal is more useful: A merger or partnership fund would encourage all media people to look more broadly and intelligently at their local media ecosystems. This could be a $25 million annual fund that would transform the roles of both the university and the nonprofit media innovation community by creating technology hubs that would act as universal help desks, retooling labs and distribution centers for a new generation of open source software. We’ve learned from the Knight News Challenge that “interoperability” of software, even open source software, is key. One of our experiments might be adopted by only a handful of news organizations; another by thousands of websites, even mobile media. This difference can be a purely technical one. Editors or news managers might want the new technology, but, depending on the software profile of their existing operations, they simply may not be able to adopt it. Enter the News Technology Testing Lab. You could look at it as a technological version of the local journalism centers already funded by the Corporation for Public Broadcasting. The labs could be based at major universities through competitive bid or in a networked way within nonprofit media developers. Universities would need to show that they will use this money to forge a new relationship between computer science and engineering departments and journalism or communication schools. (This will add a key element to leading journalism schools and prepare future journalists for a high-tech world.) Media innovation nonprofits would need to prove they can partner with major media organizations to test the new tools. The testing lab would take the open source software emerging in the public media center, rewrite it and promote its adoption by public media. Take a program like OpenBlock, which scrapes the Web for crime statistics, building permits, restaurant inspections and other public information, and organizes it by neighborhood block. It was written as open source code in the software framework Django. A testing lab could rewrite it to work on other platforms, test the new versions, develop frequently asked questions, build a software developer community around the application or introduce it into an existing community. If public radio or public television websites in America all had their own versions of OpenBlock’s open source code, an astonishing amount of information would be available to news consumers. Reporters can find important stories much more easily with these sorts of data tools. And when consumers can easily find public information on the web, they demand more of it from their public institutions. We believe technology labs could be run at two dozen major cities, in various geographic locations, for roughly $1 million a year per location. A five-year startup commitment would be needed. By then, universities or nonprofits could either develop new revenue around the labs or build them into their existing operations, or both. If you focus on a few major university cities in which the highest-speed Internet exists, you will be developing at the “top end,” and as faster broadband spreads, so will this new technology. All in all, news testing labs would help speed adoption of open source software and the applications that run on it. They would be able to develop numerous applications to run on the universal public media platform proposed by NPR and its public media partners. Spreading the adoption of existing technologies is not enough. In the digital-age culture of continuous innovation, a steady stream of even newer ones must be invented. Thus, an additional $20 million per year can seed the most promising open-source media innovation projects. Nonprofits advancing open-source media innovation technology could qualify for funding to “scale” if they have won a previous open competition, such as the Knight News Challenge or one of the two dozen other major technological competitions run by philanthropy. In other words, federal money could be available to scale the “circle of champions” — those whose fresh open-source software has received the best results from field tests with media partners. This leaves a creative role for philanthropy: helping identify new ideas. But it puts national leadership behind the notion that the best of these breakthroughs in the open-source software world should have the best chances of universal adoption. Since this software can be used by business as well as public media, it can also help accelerate digital transformation on the commercial side. An example of this: DocumentCloud, a new tool for investigative reporting invented by a nonprofit in connection with employees from ProPublica and the New York Times. If resources existed to widely train toward the adoption of this software, citizen journalists as well as professionals will find it easier to use original source documents in stories. In addition, when the news links to the underlying source documents, stories have greater credibility. Users can trace citations back to their source. In five years, DocumentCloud will be in popular use at the largest news organizations. A federal program could accelerate its distribution. In the digital age, speed matters. Open-source tools could be funded even if for-profit entities develop them. A number of notable Knight New Challenge entries are open-source tools created by for-profit entities (DevelopmentSeed, Stamen). Others build on existing open-source tools (PRX) or are built-from-scratch projects (DavisWiki). They range from mapping to data visualization to local wikis. Ventures like Google’s Summer of Code, where Google pays students a summer stipend to work on pre-approved open-source projects, are notable models. A senior technology fellowship fund could be a $20 million “senior geek squad” of traveling fellows who retrain public media for the digital age. Google, for example, allows its engineers to devote 20 percent of their time to whatever sort of work they want, including volunteer work. A public-private partnership, possibly with philanthropists organizing the competitive aspect, could choose fellows each year to travel to public media sites around the United States — for such digital transformation projects as training, new interactive product adoption and revamping existing systems. These would be professional technologists who treat the media organizations as clients. They would be experts on tech-enabled journalism, data-driven reporting and visualization, multimedia, contextual delivery, content management systems, plug-and-play widgets and applications. Even at $20 million, not even half the existing public media outlets would be able to host such fellows. In addition, a $20 million annual scholarship fund could create a cadre of students co-majoring in computer science and journalism. Northwestern and Columbia have started these sorts of programs and many other universities are considering them. A pilot program at Northwestern has proven successful. A major expansion would ensure we are graduating at least 200 of our best and brightest students each year who can help us reshape our public media landscape. In return for the scholarship, the students would each spend a year as a circuit rider helping public media better transition to the digital age, working with the senior fellowship program above. After their year of service, many will go on to join the private sector. Digital literacy is arguably the most important literacy of the new century. But few educators are actually using digital tools to advance this goal, even though digital teachers never sleep and are available to any student of any age at any time. An annual $10 million fund could award grants to leading journalism schools and professional organizations for digital platforms that offer digital media education to all: everything from digital literacy to training for citizen journalists to public media training. In some of Knight Foundation’s pilot programs, educational digital games are among the most popular teaching tools. Schools that teach journalism or news literacy classes could apply for classroom grants for current technology. Examples of these sorts of platforms, started by Knight but always in need of more help are what is now StudentJournalism.org and newsu.org. A Public Media Technology Transformation Fund could create a culture of constant innovation within public media, needed not only to protect the public’s previous investment, but to offer more choices to the American consumers. A Technology Transformation Fund could do more than prevent the unnecessary dismantling of public investment in quality broadcasting as consumers continue to seek out news that is portable, personal and participatory. A fund could help provide the tools for a community news renaissance in the United States, repositioning the nation as a creative force internationally in building high-tech community news systems. As a public media consumer, here’s my view: If you want to increase money for public media, you need to increase the media being offered to the public. Meaning, we need public media that is more local, more interactive and more diverse. In some parts of the nation, public broadcasting is a primary news source. It would be a poor use of government funds to do nothing more than support the status quo when we know the future is digital — not just digital signals but digital platforms and news collection tools. The Corporation for Public Broadcasting’s innovation efforts are laudable, but proportionately puny, perhaps as little as 10 percent of its budget. And CPB money is only a fraction of the overall public media budget. So right now, technology transformation money is a fraction of a fraction of what we are putting into public broadcasting. Worth noting are such efforts as Public Radio Exchange, incubated at the Station Resource Group, which demonstrate that government can invest in innovation for public media when it sets its mind to the task. Also, while philanthropy including Knight Foundation has demonstrated how easily new tools can be developed, private grant makers simply do not have the resources to “scale” these innovations. If we try, we will be hard pressed to continue to develop new ideas. Let me end with two personal observations. At Knight Foundation, I have been impressed by the boundless human creativity driving ideas for new technologies in this new age. One of our projects is with Web creator Tim Berners-Lee and the Media Standards Trust. By creating an open source micro-formatting system, that project is helping the Associated Press and hundreds of newspapers meta-tag news stories, so news organizations can, in essence, footnote the news. Eventually, this may provide an entirely new way of searching for news. Instead of getting whatever stories a Google algorithm provides, you might be able to find only eyewitness accounts of an event or accounts from award-winning journalists or from the writer on the scene the longest, etc. Finding ways to help public media use these innovations is essential if we are to have public media in the future. Old tools are just not much help these days. The old metaphor for journalism was to shine the light, and people would find their way. Just try using a flashlight at noon on Miami Beach. Not much help. What you need in a world that is all lit up is not a flashlight but a good pair of sunglasses. They still help you find your way. In the digital age, we do indeed need new ways of looking at things. The Corporation for Public Broadcasting’s plan to advance “the 3Ds,” digital, diversity and dialogue, hasn’t changed its basic approach. Video, audio and fundraising race on line but CPB is still a status-quo-supporting bureaucracy; it experiments with a tiny slice of the budget. Other federal agencies have been little help. Google and the Associated Press started media/tech scholarships, not government. Northwestern University’s news innovation lab started with foundation funding, not government’s. KCET in Southern California and Link TV merged on their own, not as a government-funded project. PBS Digital Studios opened to fanfare, but basic station budgets don’t seem to be changing. Government initiatives did not create accelerators like Matter at KQED in San Francisco, the innovations from PRX, the Mozilla project that puts programmers in newsrooms or even the civic software from Code for America. Tax money still goes to content, not the politically neutral technology changes essential to the future of public broadcasting. Web-based public media startups have taken in millions of dollars and users in the gaps left by public broadcasting. A bright spot is NPR, which dropped the word radio from its name and promoted a digital expert to its top content job. In 2014, the smart phone app NPR One launched — personalized public radio without the radio. Overall, public radio draws most of its funding from private sources. Yet much of that comes in from local stations. As national content moves on line, they must either develop better news relationships with their communities, or die.